On Monday 22 April a group of commited penguin conservationists and representatives from the African Animal Keepers Association started the third annual Penguin Promises walk in Gansbaai. 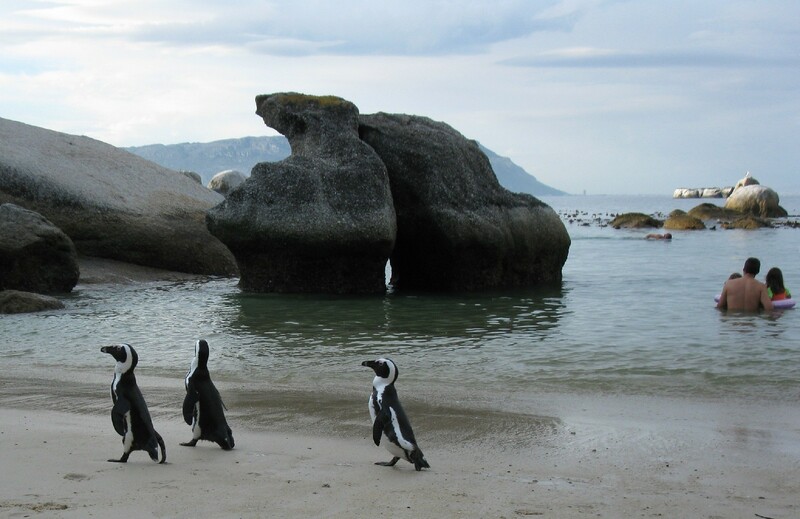 They will walk for a week and reach Boulders Beach on the afternoon on Saturday 27 April. The Simon’s Town Business and Civic Associations have commited to support this campaign. We have arranged for children from local Simon’s Town and Fish Hoek pre-primary and primary schools to get involved and draw pictures of this famous Simon’s Town bird. Their art will be displayed on the walls of shops and public spaces along St George’s Street in Simon’s Town on 27 April. Judges will decide the winners from various age categories and fantastic vouchers from local restaurants will be awarded to the winners. The Two Ocean’s Aquarium Education Outreach Vehicle is also coming to Jubilee Square to entertain and amaze all those interested. There will also be a variety of music. Come and show your support. We appeal to all businesses to display penguins in their shop windows and dress their shop fronts with black and white. If you or your business are keen to get involved please email Bronwen d’Oliveira or call 0832645404. We are looking for volunteers to help with arrangements, sponsored prizes and contributions towards printing and other costs. For more information on the Penguin Promises waddle please visit www.penguinpromises.com and www.facebook.com/penguinpromises and follow them on Twitter @penguinpromises.